Ascorbic acid (vitamin C) is a vital antioxidant that has a variety of uses. Medical science is still determining its exact functions, but have noted its potency in reducing the damage caused by free radicals. What differentiates ascorbic acid from other vitamins is that it can be taken in excess without detrimental effects. Old wives’ tales and traditional folklore places vitamin C as one of the best medicines for the common cold, flu, and fever. People are often told to “overdose” on ascorbic acid as the excess is naturally flushed out through urine. Ascorbic acid is needed by our tissues to properly grow and repair. Dietary sources of vitamin C include citrus fruits, papayas, pineapples, strawberries, raspberries, blueberries, watermelon, and cranberries. Vegetables such as spinach, cabbage, turnip greens, and cauliflower are also great sources of this vitamin. We utilize ascorbic acid in many ways. For the most part, it is used to improve the immune system. Conditions such as the common cold and flu can be prevented and treated with ascorbic acid. The vitamin further recompenses environmental damage such as air pollution, cigarette smoke, and ultraviolet light radiation. In itself, ascorbic acid is a highly recommended supplement for overall health. The National Institutes of Health (NIH) likewise recognizes ascorbic acid as a powerful agent for collagen formation. This makes the vitamin crucial in maintaining the health and function of the skin, tendons, ligaments, and blood vessels. 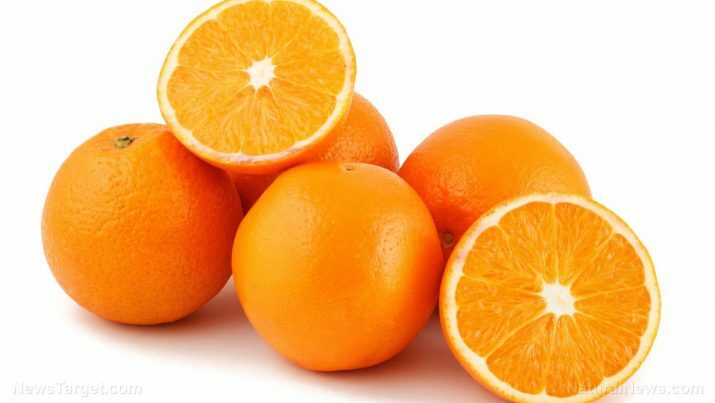 Vitamin C aids our body to heal wounds and form scar tissue faster. Augmenting vitamin C intake may additionally lower blood pressure. Patients with hypertension are often told by their doctors to eat more citrus fruits to lessen their risk of developing cardiovascular diseases. Ascorbic acid functions as a strong vasodilator, which consequently improves blood vessel dilation. There are studies which suggest using ascorbic acid to treat lead toxicity. Children, especially, are the most vulnerable of being exposed to these heavy metals. Exposure to lead in younger patients can lead to behavioral problems, learning disabilities, and a lower IQ. Scientists have found that vitamin C supplements can reduce blood lead levels. Most importantly, though, is its potential in cancer prevention and treatment. Studies on this are conflicting. Particularly, while scientists are certain that ascorbic acid is a formidable antioxidant, they are less sure how much of the vitamin is needed to prevent tumor growth or how to administer it. Some researchers believe that daily intake through eating vitamin C-rich food will suffice. Others suggest a more direct approach: injecting cancerous cells with ascorbic acid. While both methods are being tested, cancer patients are told to practice healthier lifestyle habits, including upping one’s intake of foods rich in ascorbic acid. All body systems are supported by ascorbic acid. The antioxidant works by improving the function of all organs. Adequate amounts of vitamin C are needed to protect blood vessels from any possible damage caused by free radicals. Ascorbic acid protects the body from free radical damage. It can be used for a variety of reasons, the most common being to cure the common cold. There is research which suggests its use in cancer prevention and treatment. It can be sourced mostly through citrus fruits.